The St. Petersburg Times reports that jailed music mogul Lou Pearlman will be getting his deposit back - at least indirectly - from Cunard Line for a canceled cruise he won't be going on with nine friends. Pearlman has filed bankruptcy and is being held on federal bank fraud charges, pending his trial now set to start in March, so he won't be available to go on the Queen Mary 2 Thanksgiving cruise to the Caribbean. A federal bankruptcy judge ordered Cunard to return the $22,467 Pearlman paid the line so it can go into the assets to be distributed to creditors. Already in that pot are the $7.1 million from the sale of his home and $280,000 from the sale of furnishings and memorabilia. A couple of years ago, Crystal Cruises debuted their service called Private Adventures. It's done good business for those customers who wanted something special ashore and were willing to pay for it, but it seems like this year the secret got out and many more passengers are discovering this indulgent option for the first time - and finding they don't want to cruise without it. That's pushing the dedicated unit at the luxury line to record numbers. From January through August of this year, Crystal's land programs team has arranged 55% more Private Adventures than they did in all of 2006. Details appear in today's edition of Cruise News Daily. AIG Travel Guard has just released a new line of travel insurance products and upgrades to existing ones for your next cruise. Included in these are benefits that until now have only been available from cruise-line-issued policies. These include coverage that allows cancellation for any reason, and cancellation for work-related reasons. The first steel has been cut for Celebrity Equinox at Meyer Werft in Papenburg (Germany). Celebrity Equinox is the second of the 122,000-ton Solstice-class. Celebrity Solstice is already under construction at the yard and is scheduled for delivery in fall of 2008. Celebrity Equinox will be delivered approximately a year later. In all, four of the ships were ordered. The ships each will carry 2,850 passengers, double occupancy, with 90% of the staterooms outside and 90% of those having private balconies. The podded propulsion system will be powered by a diesel-electric system developing up to 67,200 kWh, or approximately 91,400 horsepower. Shown here are (l to r) Richard Fain (CEO, Royal Caribbean Cruises Ltd), Jarmo Laakso (Project Manager Celebrity Cruises), and Lambert Kruse (Managing Director, Meyer Werft) just before Fain pushes the button to ignite the plasma torch. 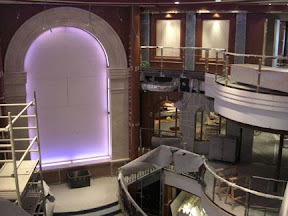 It's not exactly Dancing with the Stars, but Costa has scheduled a week-long "Tango Cruise" aboard the 114,500-ton Costa Concordia on November 25 in the western Mediterranean. If you have an interest in tango (it takes two, you know), there will be something here for every level of interest. Costa says the special-interest cruise "is perfect for travelers looking to learn the dance for the first time, spectators interested in watching from the sidelines, or for tried and true tango lovers looking to perfect their dance moves." The cruise will feature some well-known tango couples conducting workshops and giving performances: Sebastian Arce & Miriana Montes, Esteban Moreno & Claudia Codega, and Marcela Guevara & Stefano Giudice. If you follow tango, you already know who these people are. If you don't, then there's probably no reason for me to repeat Costa's description, because you don't care anyway. Am I right? Cunard's Queen Victoria begins to take shape. 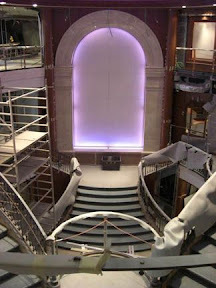 Valencia, CA - September 6, 2007 - With a little more than three months to go before her much-anticipated December 10 Naming Ceremony, Cunard Line's Queen Victoria is taking shape and coming to life. Currently under construction at the Fincantieri Shipyard in Marghera, Italy, Queen Victoria's elegant and sophisticated style is gradually coming together day by day. 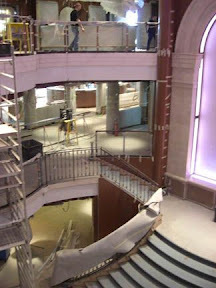 Pictured at left: The Grand Lobby, sure to be one of the ship's most popular meeting places, will boast triple-height ceilings, a double sweeping staircase and sculpted balconies. Highlighting the dramatic space will be a signature piece of artwork, anchoring the staircase landing and setting the stage for a dramatic sense of arrival. Details about the signature art piece for the Grand Lobby are coming soon. Stay tuned for additional previews of Queen Victoria's progress. It used to be that a cruise line having a world cruise was a big deal. Then several cruise lines upped the ante by operating dual world cruises - two ships sailing at the same time, sometimes in opposite directions around the world. P&O Cruises is calling those and raising the stakes in 2009 with three simultaneous world cruises. Not only that, but the geeks at P&O have slipped in their pocket protectors and come up with an absolutely outstanding piece of technology to promote the programs - and excite armchair travelers (and closet geeks) everywhere. P&O's cleverness needs to be saluted, since it utilizes free tools already at hand for just about anybody on the internet. This feature is going to become as normal to find on cruise line websites as web cameras. The three ships P&O has chosen for the 2009 world cruises are Arcadia (making her world cruise debut), Oriana and Aurora. Starting early next year, Princess passengers will have a pleasant surprise in their shower. No, it won't be someone in a new crew position of back scrubber. (At least they haven't announced that yet). Last February we told CND readers about a new project that was forming with the corporate backing of Royal Caribbean, and yesterday it became reality. The Scholar Ship is a unique way for college students to study in an international environment. For 16 weeks, the floating classroom will sail around the globe, westward from Greece to China, carrying 200 students from all parts of the world from seven universities around the world. The program is unique because of this international participation. All seven universities from the University of California at Berkeley to Fudan University in China are accrediting the courses. To ensure a truly world-wide student body from all economic backgrounds, a $2 million scholarship fund was established for the 207/2008 academic year to help defray the $20,000 tuition for some students, based on academic merit and economic need. Multinational corporations such as IBM, Microsoft and HSBC Bank were involved by the sponsoring organizations to assure learning outcomes would be relevant and practical. Yes, there are other floating university programs out there, but they are the product of a single university and draw students from one general geographic area of the globe, making The Scholar Ship unique. The program set sail from Piraeus yesterday, aboard the original Sea Princess, now renamed The Scholar Ship and reconfigured to be classrooms where many of the public rooms once were. It will sail westward to Lisbon, Panama City, Guayaquil, Papeete, Auckland, Sydney, Shanghai and Hong Kong. Classes will be held while the ship is at sea, and in each port students will participate in academic field studies and community service projects, as well as having a little time for independent travel. There was movement today in two of Carnival Corp's proposed joint ventures with European companies. One is moving forward, and one is being withdrawn. Both actions will have some indirect impact on cruisers in North American markets, even though they wouldn't have been likely customers of either new brand, because Carnival is/was planning to take ships from existing Carnival brands for the new ventures. The Carnival/TUI joint venture to create a new upscale German line has been terminated. Carnival had been planning to take one "relatively modern" vessel from an existing Carnival brand to start the line. The specific ship was never specified but it was believed to be one only a couple of years old. The Carnival/Orizonia joint venture transaction, however, will close next week. That will create a new line for the contemporary Spanish market called Iberocruceros initially consisting of the two current Iberojet ships (Grand Mistral and Grand Voyager) and Carnival's Celebration. Adam Snitzer will join Seabourn as VP of marketing. In the position, he will be responsible for the line's marketing, revenue management and public relations. Snitzer was most recently VP of revenue management for Costa Cruises, another Carnival brand. The move to Seabourn will be something of a homecoming for him. He was previously with Cunard when the brand's operations was merged with Seabourn. When they were separated and Cunard moved to California, then-president Pamela Conover moved to Carnival Corp's Shared Services department. She tapped Snitzer to join that department, and he later moved on to the Cunard brand. Effective October 8, he will join Seabourn, where Conover is now president. Star Clippers is shopping for a shipyard to build the world's largest sailing ship which they plan to have join their fleet in 2010. The process will be much different for them than larger cruise lines. In this CND article we took at look at how it will differ and the details of the new vessel. The story appeared in today's edition of Cruise News Daily. The presidents of Royal Caribbean Cruises Ltd's two largest brands, Adam Goldstein (president of Royal Caribbean International) and Dan Hanrahan (president of Celebrity Cruises), added CEO to their titles today. Both have been in the roles of president of their respective brands since 2005, and it will now say president and CEO on their paychecks. Both will still report to RCCL Chairman and CEO Richard Fain. 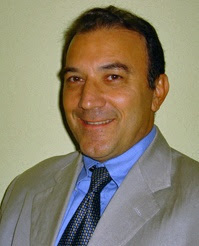 Nicola Iannone has joined MSC USA as the Director of National Accounts. Hi will be responsible for developing business relationships with major travel retailers, consortia and tour operators in North America. "Nicola Iannone possesses strong travel industry experience and understands the European qualities that distinguish MSC Cruises, said Richard E. Sasso, president and CEO of MSC Cruises USA." Iannone began his career in the travel industry 17 years ago with a travel agency and since has worked in the tour operator, airline and cruise segments of the industry. He most recently was the director of key accounts for Uniworld Grand River Cruises. Evacuations of ailing passengers from cruise ships by helicopter are fairly routine these days, but one yesterday was particularly swift. An entertainer aboard Carnival Victory had a medical condition which required transport to a shoreside hospital, and the ship put in a call to the US Coast Guard about 12:30pm on Sunday. At the time, the ship was about 60 miles southeast of Nantucket (MA). By 1pm, a Jayhawk helicopter was already hovering over the Carnival Victory's deck ready to hoist the patient. It usually takes considerably longer for a helicopter to arrive on the scene because one usually has to be put into the air and fly some distance to the ship. In this case, the extra-fast response time was possible because the Jayhawk was part of a group of Coast Guard assets already nearby that had been searching for a missing scuba diver and was just diverted from that task force. (That search had been ongoing since Saturday afternoon.) The Coast Guard said the smooth sea conditions made for a very easy pick-up. The patient was transported to the Hyannis airport and taken from there to a hospital on Cape Cod. Disembarkation was halted on Freedom of the Seas and embarkation was delayed for several house, as Royal Caribbean's Miami cruise terminal was evacuated today, The security department thought they saw a hand grenade in a passenger's checked luggage - and the did sort of. It turned out that it was a belt buckle shaped like a grenade and was determined not to be any kind of threat, but it did hold up everything for several hours. While it was inconvenient, it again proves that the system works.